Whether you’re a culture vulture or a beach babe, here’s how to make your Caribbean dreams come true. Sapphire waters, shining beaches and a tangle of deep-green foliage; such an idyllic picture is what draws many people to the Caribbean. But did you know that the region is also rich in historic interest, with colonial mansions and formidable fortresses? Add the rhythms of reggae and calypso that are as intoxicating as the ubiquitous rum, along with a great range of watersports and jungle adventures, and you have a seductive playground for all ages and tastes. Ships large and small ply these waters, and the diversity of itineraries increases each year, especially with Cuba becoming ever more open to the world. The choice of departure ports is expanding, too, which means it’s easy to add a hotel stay in, say, Florida or Barbados. Fancy exploring the tropics on a brand-new ship? Holland America’s Nieuw Statendam sets sail early in 2019 and one of its first itineraries is a 14-night Western & Eastern Caribbean cruise. The round-trip from Fort Lauderdale – convenient for UK guests – mixes buzzing beach resorts and quieter isles, with calls including the line’s own Half Moon Cay enclave in the Bahamas, as well as Jamaica, the Cayman Islands, Mexico, the Turks & Caicos Islands, Puerto Rico and the US Virgin Islands. Yet to be launched, mid-sized Nieuw Statendam is packed with eye-catching design features such as an atrium ceiling that changes from clouds to stars. Independent travellers will be happy to hear that staterooms are provided for singles as well as families. Azamara is not the only cruise line to have exclusive use of a corner of the Caribbean, but intriguingly theirs is on Haiti, which remains largely undeveloped. Here you’ll find fine sandy beaches and plenty of watersports, with a lovely backdrop of forested hills. However the main focus of the line’s new, 10-night Cuba Intensive cruise is the island whose capital is a byword for Latin music, crumbling colonial architecture and classic American cars. Three stops are made: after Havana comes French-flavoured Cienfuegos, with its excellent botanic gardens, and then Santiago de Cuba, the island’s cultural capital and the birthplace of Bacardi rum. Azamara Journey is a relatively small vessel but her 694 guests can look forward to the finest food, as well as luxurious pampering in the ship’s all-new spa. There’s so much more to this region than the well-known islands such as Barbados and St Lucia. The Caribbean Sea stretches across to Central America, creating a vast cruising playground. Thomson takes advantage with its Exotic Explorer voyage to the less visited countries of Belize, Guatemala and Honduras. It’s a seven-night round trip from Montego Bay, Jamaica, where you can opt to stay for an additional hotel week. Along the route there is the opportunity to take a boat trip up a jungle river, visit Mayan ruins, swim with dolphins, snorkel on coral reefs and admire colonial architecture – or just flop on the beaches. The ship is TUI Discovery 2, which has an outdoor cinema and indoor pool, plus full entertainment programme. With free drinks and flights too, this cruise is something of a bargain. How about spending New Year’s Eve in Nassau in the Bahamas, with fireworks and a fabulous carnival? That’s on offer from Saga, with its 33-night Festivities in the Caribbean round trip from Southampton over the Christmas period in 2018/19. The journey, with transatlantic crossings broken by the Azores and Madeira, takes in Antigua, St Lucia, Barbados, Bermuda, the Bahamas, Grand Turk, Tortola and Trinidad. A good mix of sightseeing, nature treks, shopping, snorkelling and relaxation on lovely beaches is promised. The 720-passenger Sapphire’s facilities and entertainments are tailored to British tastes, and you can expect the usual celebrations, including roast turkey on Christmas Day, which is spent at sea. 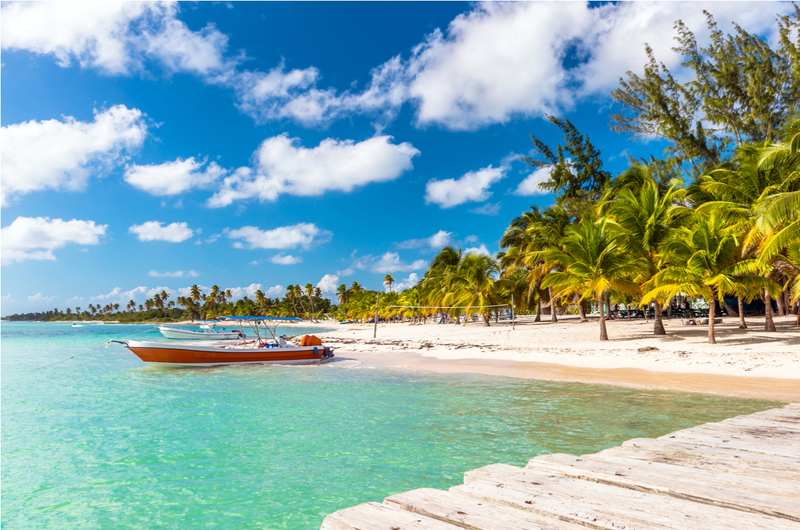 An unusual voyage with Fred Olsen involves flying out to Barbados then sailing back to Southampton, meaning you can bring back as many souvenirs – and as much rum – as you like. There’s a welcome overnight in Barbados at the start of this 16-night Caribbean & the Tropic of Cancer cruise (a visit to a plantation mansion is recommended). The 929-guest Braemar then makes the short journey to lush St Lucia. A late-night departure from the next island, Antigua, will allow you to sample the nightlife, and the final West Indian destination is St Kitts, where the fortress at Brimstone Hill is listed by UNESCO. With a journey back to the UK interrupted only by the Azores, you’ll have plenty of time to enjoy life aboard the elegant Braemar, with treats such as afternoon tea in the Observatory Lounge. Why not combine a Caribbean cruise with an exciting trip up the Amazon? Thanks to P&O, you can do just that – in only two weeks. Making a round trip from Barbados, the adults-only Adonia heads south to Tobago, a less-visited isle rich in rainforest and birdlife. Then, after sailing down the coast of Brazil, the ship penetrates 500 miles up the world’s greatest river to Santarem, where a forest walk will introduce you to the spectacular local wildlife. Back in the Caribbean, the Caroni Wetlands is a recommended excursion on Trinidad. Then comes Grenada, the home of nutmeg, followed by St Vincent, close to the exquisite Grenadines. St Lucia is an enticing final call before arriving back in Barbados. Accommodating just 777 guests, Adonia is P&O’s smallest ship – but it’s a stylish vessel with a sociable atmosphere. A vast collection of colonial architecture, much of it with UNESCO World Heritage status, features on a Viking cruise that includes Colombia as well as various Caribbean isles. Santo Domingo in the Dominican Republic was the first Spanish settlement in the region and boasts the oldest cathedral in the western hemisphere. Cartagena has a huge fortress and one of the best-preserved old quarters in the world. 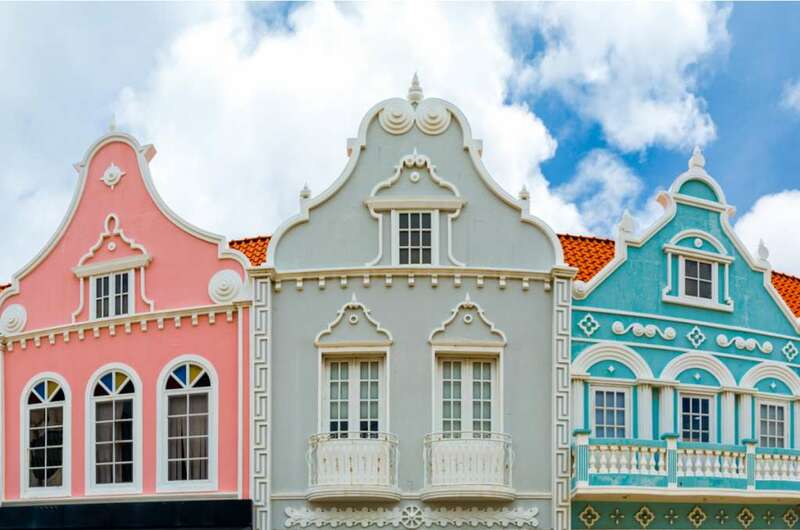 The islands of Aruba and Curacao show both Spanish and Dutch influences, with buildings painted in pastel hues, as well as dreamy white-sand beaches. This 10-night South America and the Caribbean voyage also includes St Kitts – site of another significant fort – and begins with an overnight in San Juan, Puerto Rico, where there is more splendid architecture. Launched in 2015, Viking Sea is an all-balcony ship, whose 930 passengers can enjoy Scandi-chic design and a light-filled indoor Wintergarden. Cuba is very much the “in” destination at the moment, and Voyages to Antiquity’s new itinerary includes no fewer than four ports on this fascinating island. 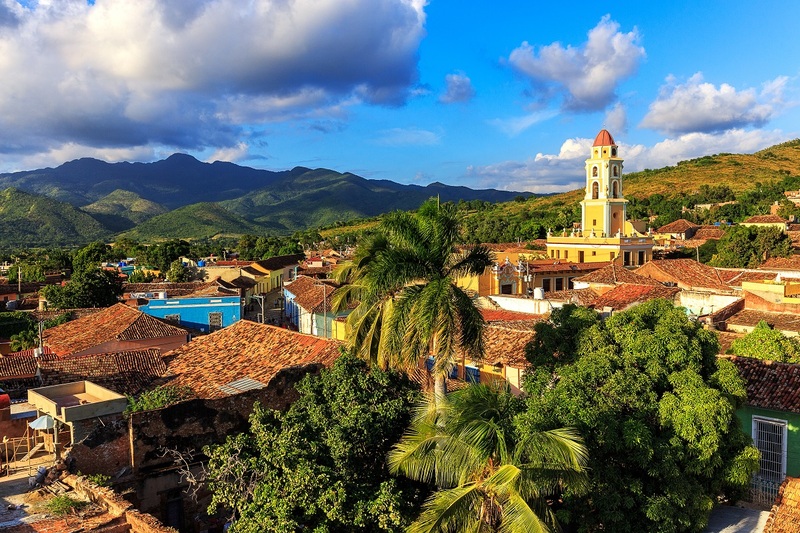 As well as buzzing Havana, where the cruise begins, guests will get the chance to admire the historic buildings of Cienfuegos, Trinidad and Santiago de Cuba. The line’s small ship, Aegean Odyssey, then moves on to Jamaica, Nevis (where Horatio Nelson met and married his wife) and Antigua (famed for its World Heritage dockyard), followed by scenic St Lucia and an overnight in Barbados. Although the accent of this 15-night Cuba, Jamaica and the Leeward Islands cruise is on culture, there will be ample beach time too, while the well-appointed Odyssey has a lecture programme, spa and lido deck. Another line that offers a no-fly trip to the Caribbean is Cunard, which packs plenty of interesting ports into its 24-night Caribbean Highlights voyage from Southampton. Apart from Barbados and Antigua, the islands visited by the recently upgraded Queen Victoria are less well known, so this is a good choice for those who have sailed the region before. 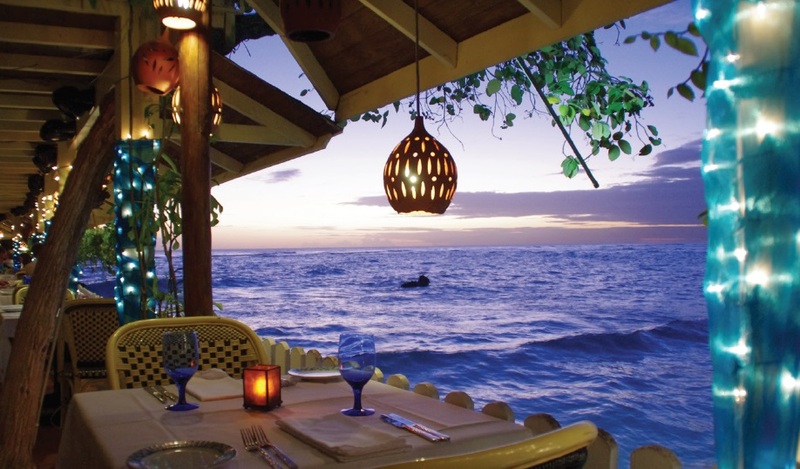 Martinique is a firm favourite with those who enjoy its French flair, great shopping and smouldering volcano. Dutch St Maarten has quirky boutiques as well as good snorkelling, while St Vincent combines lush rainforest with great beaches. Journeys from and back to the UK are broken by port calls in Madeira and the Azores, but you’ll have ample opportunity to practise your ballroom dancing skills and indulge in Cunard’s genteel afternoon tea ritual. Warm, reliable trade winds keep temperatures generally comfortable in the Caribbean – and they also create ideal sailing conditions. Noble Caledonia has chartered the majestic three-masted Sea Cloud II for three 14-night voyages – Under Sail in the West Indies – in early 2019. Plenty of time is spent on the water to enjoy the sensation of the wind driving its 23 sails. The itinerary is comprehensive, sprinkling smaller isles such as Jost Van Dyke, Iles des Saintes and Bequia among popular destinations including Antigua, St Kitts, St Lucia and Barbados. A highlight is Montserrat, the British Overseas Territory that’s thriving again after devastation by volcanic eruptions. Despite its luxury, Sea Cloud II can anchor almost anywhere and carries Zodiac craft for close-up exploration and beach landings.